Members of the Anglican-Roman Catholic International Commission expressed excitement about a fresh approach to ecumenism outlined in a statement that has taken seven years to produce. The new statement, called “Walking Together on the Way: Learning to Be the Church – Local, Regional, Universal,” overcomes obstacles to dialogue by inviting Catholics and Anglicans to learn from each other’s differences rather than focusing on what each has in common. Longley told CNS the document was delineating a program of reform and represented an opportunity to grow in understanding. “Those are elements of the Anglican experience that we should continue to reflect on together and how the Anglican Communion has reached these decisions and to continue the dialogue with Anglicans even on the difficult issues,” Longley said. 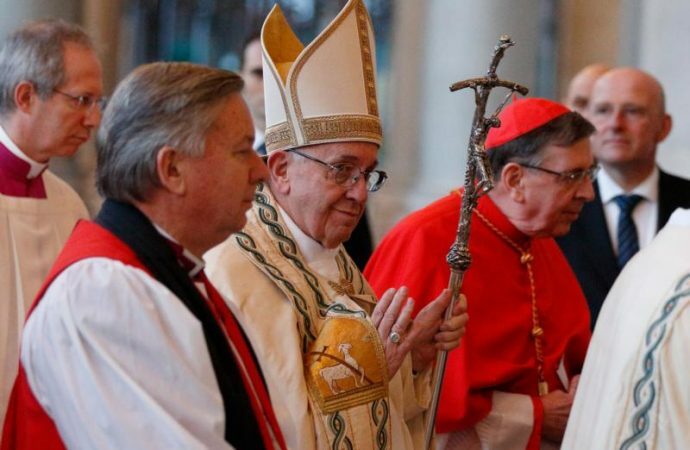 “There are a lot of wise things done in the Church of England which are not at the moment done in the Roman Catholic Church,” Wansbrough said. Longley said the document will not be ready for publication for at least two years.